We are an exclusive Cabrinha Kite school. 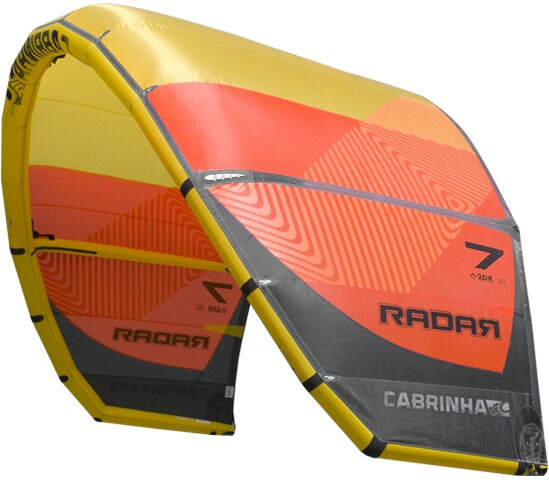 For this season we have a range of new 2018 Cabrinha kites and boards to enjoy. Reliability and performance is key when choosing a brand to ride and represent. Cabrinha offers a wide range of equipment to choose from which means we get the perfect kites and boards to ride in the conditions here in St Lucia. For lessons we are teaching on the Radar kite, the most forgiving kite on the market, super stable with smooth reliable power, good depower when needed and really good low end. Teaching with the Radar gets students up and riding on the board in no time. With our jetski assisted lessons progression is fast. For rentals we also have the Switchblade kite, which offers top end in performance freeride. 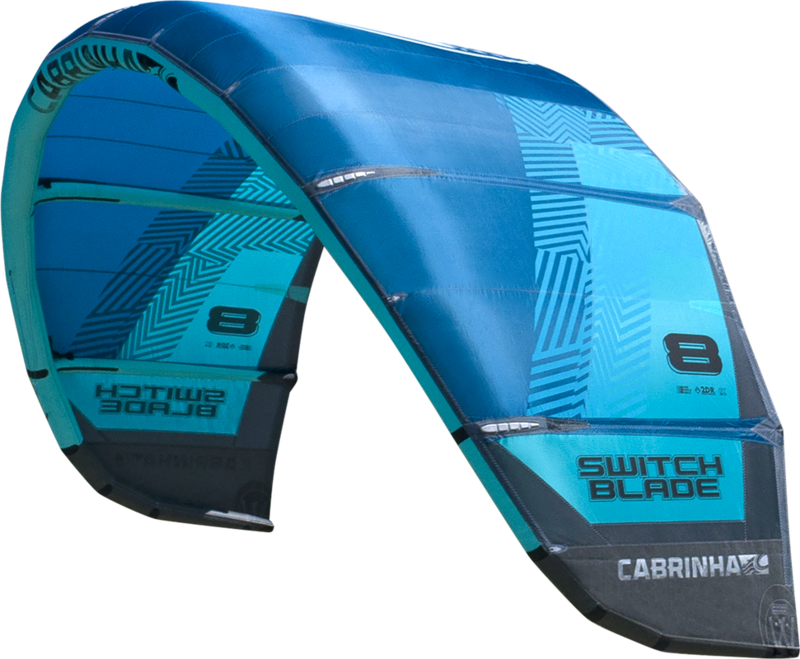 One of the most reliable and versatile kites on the market, the new switchblade has unbelievable hangtime. For rentals we have a selection of sizes in the Spectrum (all round performance) and Ace (high performance freeride) boards. We also have a Foil Board available for rental. 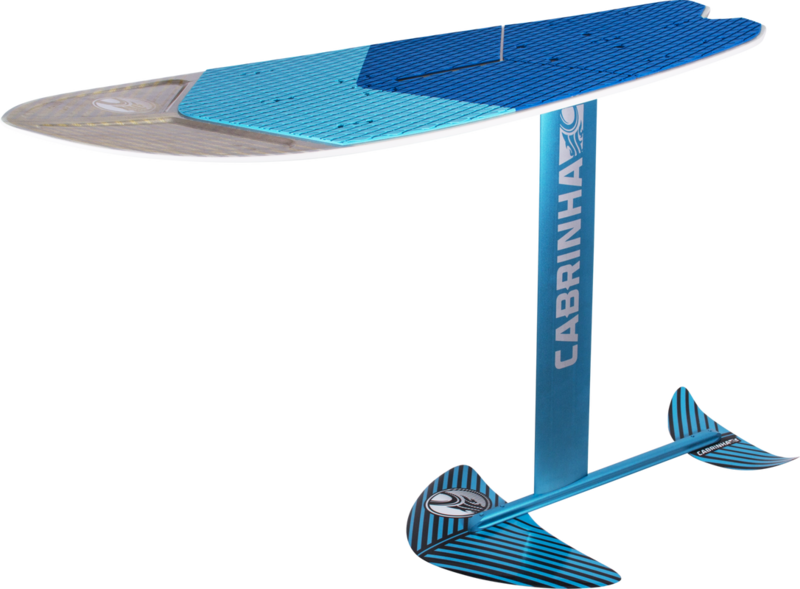 The Cabrinha Double Agent Foilboard is the perfect board to learn to hydrofoil We are happy to help if you are feeling ready to learn to fly in light winds. We have equipment for sale. 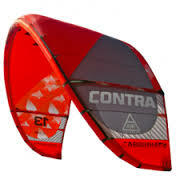 Kites, boards, bars and harnesses are all available to buy at differing prices (depending on the age of the gear). We will offer discounted prices on lessons if you decide you want to buy any equipment.